With regards to your SSS membership if you are a Filipino living, working or have migrated in Singapore, yes, you can now continue with your contributions. This is by virtue of the Philippine Consulate Office (Philippine Embassy in Singapore) opening their service to Pinoys, especially OFWs who can’t come home just to continue their contribution to the Social Security System or just to make an inquiry. Although online inquiry has been opened up a long time ago, many members of the social security are having a hard time logging in to the system or website and most of them had their accounts blocked already for continuous attempts of failed log in. For this reason, the government now has an alternative and that is to open up the Philippine Embassy office in Singapore to cater to the needs of Filipino SSS members who want to either continue their contribution or membership or avail of their benefits and coverage from the said agency. If you are currently working or living in this small country, you can now make your inquiry. Where to go? Please read the information below with respect to their office address / branch below. Fill up an SSS Form OW-1 and submit to the SSS office at the Embassy (Window 2) for processing and verification of your correct SSS number. SSS forms are available at PNB, GP, I-remit, LBC and RCBC, which are all located at Lucky Plaza on Orchard Road. Since membership as an overseas worker is only voluntary, an SSS member may decide on the amount of monthly contribution he or she wants to pay. 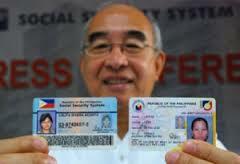 Upon return to the Philippines, one can continue SSS membership as a voluntary member and choose a monthly contribution amount within one’s capacity to pay. This entry was posted in Branches, Corporate, Hotline, SS Other Countries and tagged membership coverage continuation, philippine consulate, philippine embassy in singapore, sss singapore. Bookmark the permalink.